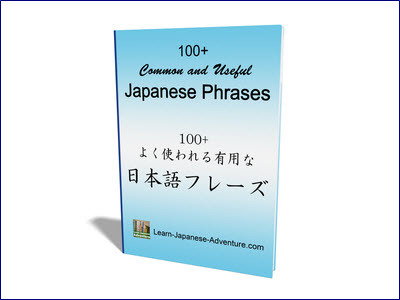 Writing Japanese katakana characters can be learned in the same way as in writing hiragana. Similarly, there are 46 of them. In this section you will get to learn the first 25 characters. In the diagrams that you are going to see, the first character on the left in each row shows the full katakana character. The subsequent columns show you the strokes in the correct order. 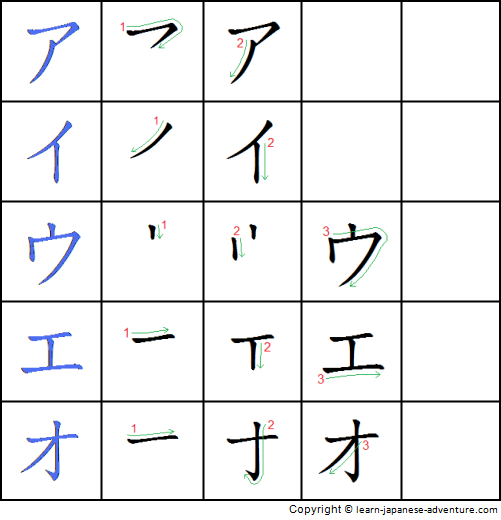 By following the green line of each stroke, memorize how each katakana character is written. After a few rounds of practice, learn to write each character without looking at the diagram. 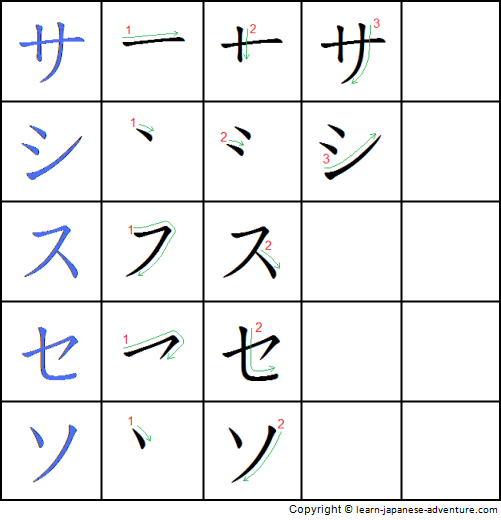 As compared to hiragana characters, katakana characters have more straight lines and more angular corners in terms of shape. But it's also not difficult to master how to write them after some practices. Be careful of some katakana characters that look similar, like ソ (so) and ン (n). The main difference is the direction of the second stroke. For ソ (so), the second stroke starts from the top right and diagonally down to the bottom left. Whereas for ン (n), it's a stroke starting from the bottom left and diagonally up to slightly below the top right. 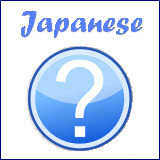 The following diagram shows how to write katakana characters ア (a), イ (i), ウ (u), エ (e) and オ (o) in the correct order and strokes. 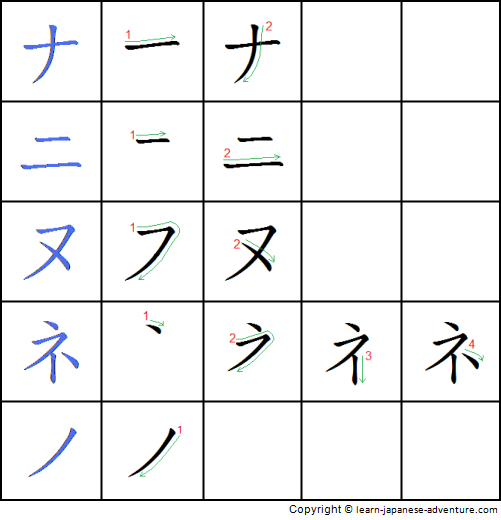 The following diagram shows how to write katakana characters カ (ka), キ (ki), ク (ku), ケ (ke) and コ (ko) in the correct order and strokes. 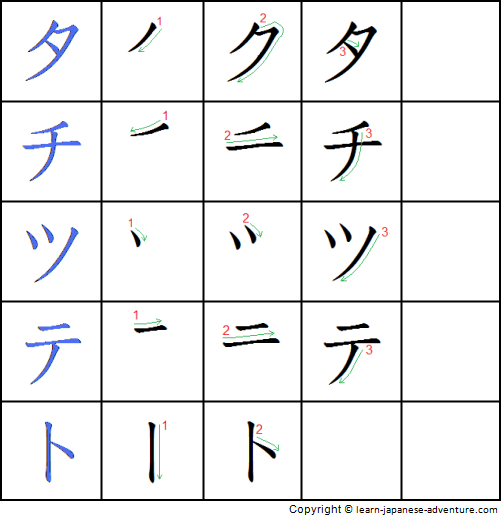 The following diagram shows how to write katakana characters サ (sa), シ (shi), ス (su), セ (se) and ソ (so) in the correct order and strokes. The following diagram shows how to write katakana characters タ (ta), チ (chi), ツ (tsu), テ (te) and ト (to) in the correct order and strokes. The following diagram shows how to write katakana characters ナ (na), ニ (ni), ヌ (nu), ネ (ne) and ノ (no) in the correct order and strokes. 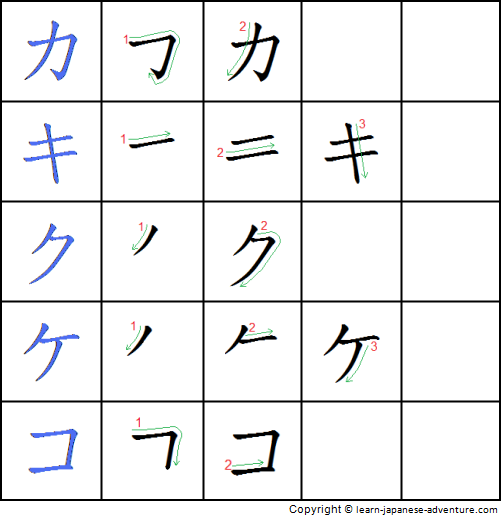 Practise as many times as you can and you will be able to write katakana characters without referring to the diagrams quickly. 1. 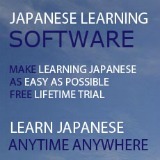 Learn to write katakana in the ha-line, ma-line, ya-line, ra-line, wa, wo and n.